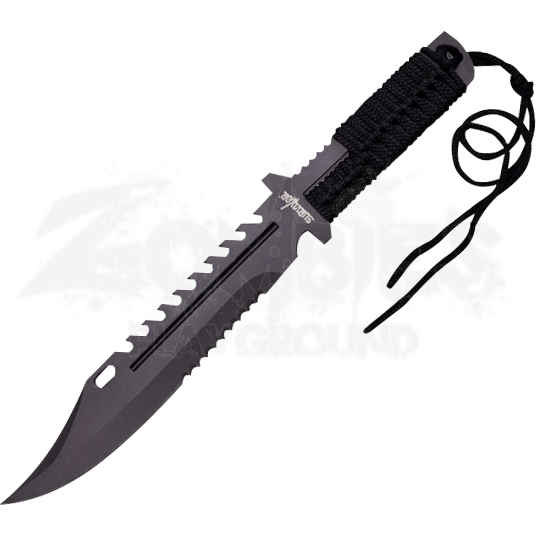 If you are deep behind enemy lines or in the wilderness trying to survive, the Black Survivor Battle Knife is ready to help. This versatile blade is sure to become a welcome tool as you overcome obstacles to ensure your survival. This fixed blade is crafted from stainless steel and then finished in black to reduce the shine and glare. The blade features 8.6 inches of half serrations so this knife can saw through anything. The 4.8 inch handle is wrapped in black cord to increase grip and also provide you with spare cord if the situation should call for it. When you are not utilizing this adaptable knife, you can comfortably carry it in the black nylon sheath that is included. 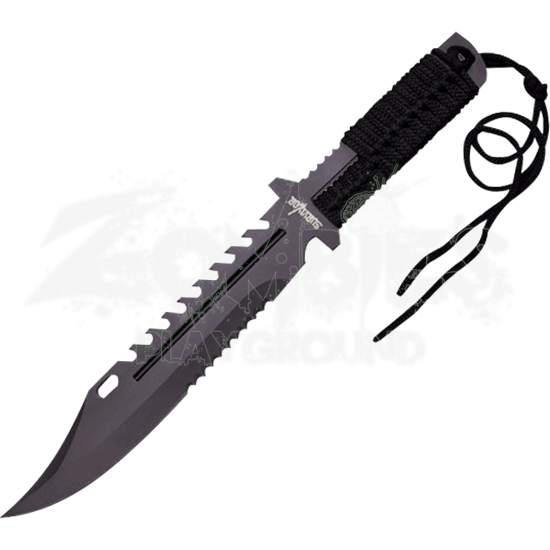 The Black Survivor Battle Knife can be the tool that means life or death in a worst case scenario, so grab one today.